Thousands of families hoping to sponsor loved ones to join them in Canada were frustrated when an online application site shut them out after just 11 minutes because the annual quota had been reached. It's been 10 years since Juan Manuel Garcia last saw his mother, who lives in Argentina. His two-year-old daughter has only met her grandmother via Skype. So at precisely noon on Monday, Garcia sat down at his computer armed with all the documents he'd need to sponsor his mother to become a Canadian resident. He was among the first to log onto Immigration, Refugees and Citizenship Canada's (IRCC) new parent and grandparent program page to submit what's called an interest form. "I had everything ready, as [IRCC] said you should do. So I go online and I put my information," Garcia said. Garcia's dream was soon dashed. "I was kicked out and the form was closed, saying that they were not taking any more requests for sponsorship." Within just 11 minutes, the program had already reached its annual quota of 27,000 family reunification interest forms, so the department closed the portal, and with it a window of opportunity for Garcia and thousands of other would-be sponsors. A spokesperson for IRCC later confirmed more than 100,000 individuals attempted to access the online sponsorship form. The Liberal government scrapped the previous lottery system for reuniting immigrant families and replaced it with the new first-come, first-served system following an angry backlash from hopeful families. But with Monday's launch, followed promptly by the sudden shutdown, the backlash is beginning anew. "I felt humiliated," Garcia said. "They make you jump through all these hoops, but they don't really give you a chance. It just feels like your life doesn't matter to these people. They just didn't think it through. Whatever they're doing, it's just not working." Garcia and thousands of other families will now have to wait at least a year before getting the chance to try again. "How many years am I going to wait? My daughter is two years old. If I get lucky next year, it will still take three years. My daughter will be five. It defeats the purpose of having your grandmother close by," Garcia said. Garcia was among several people who contacted CBC News to express their frustration and heartbreak following Monday's short-lived reunification opportunity. Faysal Shamma, who immigrated to Ottawa from Syria in 2006, said he worries constantly about his 67-year-old mother, still living in the war-torn country. "I need to have my family around," Shamma said. "I'm the only who can bring her here. She can't go anywhere else." But despite his best efforts to submit the online form at noon Monday, Shamma was kicked off the system at 12:06 p.m., leaving him feeling betrayed. "I had such high hopes. I'm very frustrated, because I did everything on my part. I was 100 per cent ready, and even with that it didn't work out." Shamma said despite his disappointment, he'll try again next year. "I will have to. I have no other choice. But I hope they will fix that system." 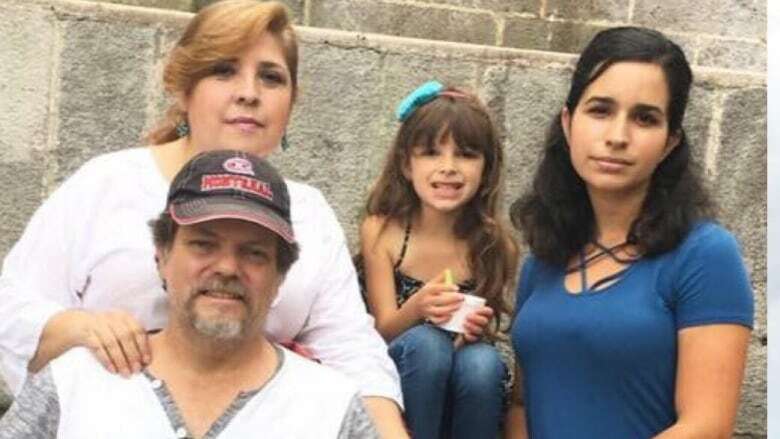 Carol Proal Resendi has been trying to bring her parents from Mexico to join her, her husband and their two daughters, seven and five. Resendi also diligently prepared for Monday's launch, but lost her chance when the department's quota was reached after just 11 minutes. "I was crying. It was heartbreaking," Proal said. "They're telling you your family's life depends on five minutes in one year. "We want our kids to have their grandparents living near them."